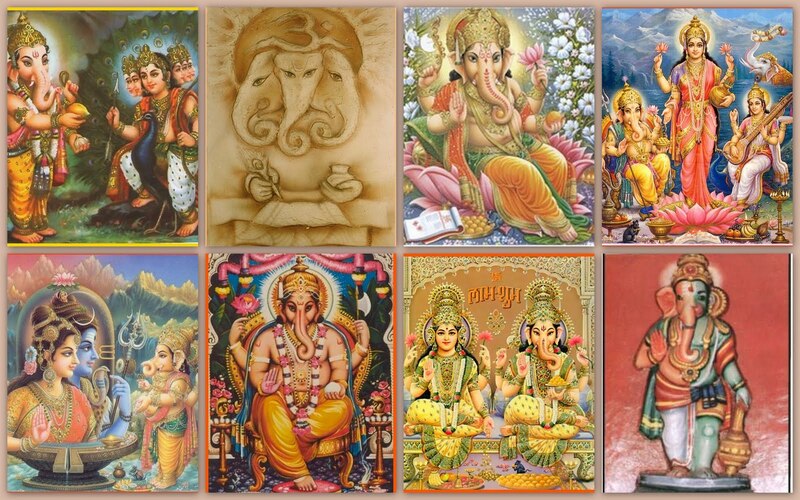 In which Temple did Sri Sankastahara Chaturthi Ganapati Pooja was held first? Sri Sankastahara Chaturthi Ganapati Pooja was held first at Thiruvanaikaval and Thirukurungudi Temple located in state of Tamilnadu. A caller belonging to Rajputs community called Guruji to ask regarding his growth in future career. Guruji suggested him to visit Shri Nagnechi Ji Mata Temple and offer your prayers, since it is the Kuldevi of Rathore Rajputs. This Temple is situated at a distance of 4 Km from Bikaner Railway Station towards Southeast of Bikaner City, on a mound, in the area called Pawanpuri South Extension, District Bikaner, Rajasthan. It is dedicated to Nagnechi Mata, the Mahishasur Mardini Goddess Durga and the family Goddess of Rathore dynasty. Rao Bika Ji (the founder and ruler of Bikaner between 1472-1504 A.D.) belonged to the royal family of Jodhpur. When he left Jodhpur to establish Bikaner, he brought with him 14 royal and sacred idols one of which was of Nagnechi Mata. So this Temple was built in the 16th Century A.D. by Rao Rai Singh (a ruler of Bikaner between 1574-1612 A.D.) to install the idol of the Goddess. Rao Dhuhad (son of Rao Asthan) once attacked on “Godyana” near Kannoj to get his old state back from Mugals but he could not success in that. On his return he brought his kuldevi “Chakreshwari’s” statue from Karnat and established under a tree of Neem (Scientific Name - Azadirachta indica) in Nagana village. Because of this all Rathores worship Neem as well. A holy tree for Rathores. 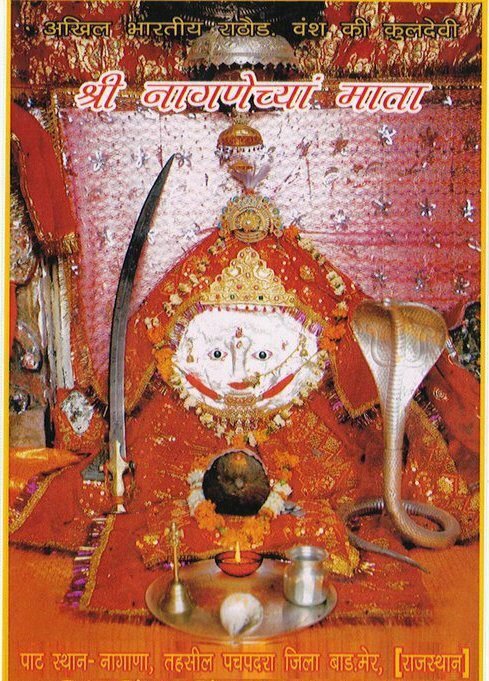 Because of the name of village(Nagana), kuldevi Chakreshwari is well known by the name Nagnechiya Maa. 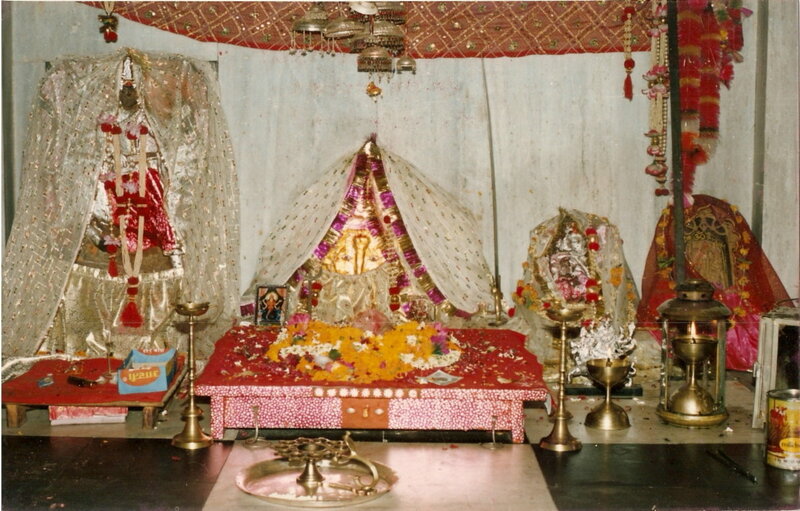 Generally in all villages where Rathores live they have a common Than (Temple) of Nagnechiya Mata. This splendidly built Temple is situated on a high mound and looks like a citadel. It has a high Shikhar. The Sanctum Sanctorum and the portico are built of red stone of Dulmera, while the front gate of the Sanctum Sanctorum is made of white marble. The Shrines of Chamunda Mata and Lord Shiva are also situated here. The Temple remains open on all days from 5.00 A.M. to 12.00 A.M. and 5.00 P.M. to 10.00 P.M.